It is mid December and you still have some special gifts to find. 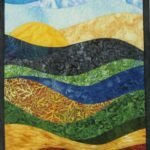 Well….think about an art quilt! I have a variety of small quilts which would be PERFECT for holiday gifts. 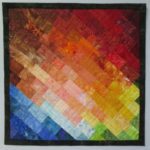 Everyone has a small place to hang an art quilt. 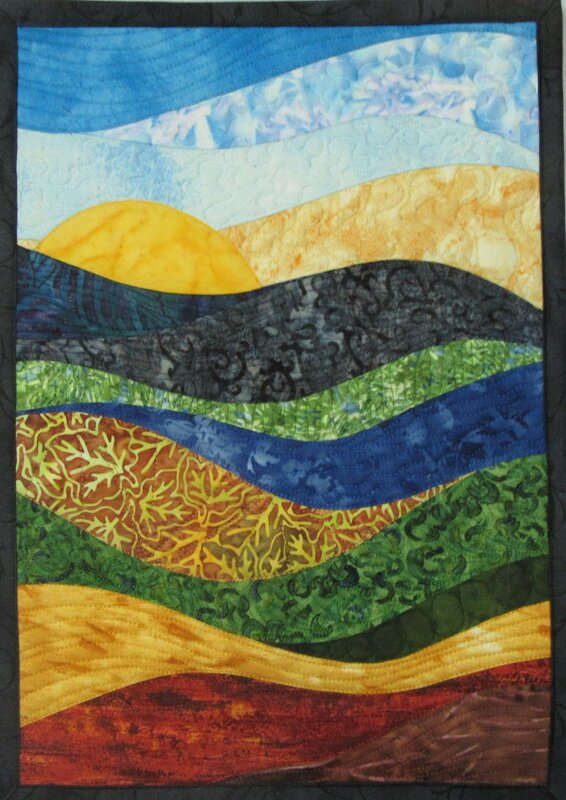 My quilts will make you smile and feel good every day. They are perfect for your home or office or your home office! They require no upkeep, are easy to hang, and unbreakable. 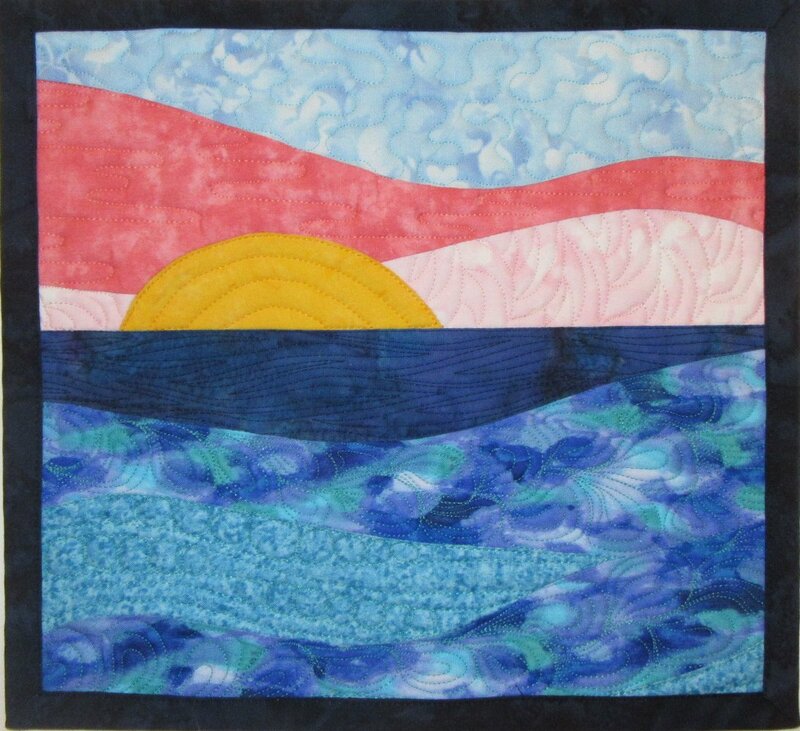 And I always remind everyone how perfect art quilts are for the bathroom. Most of us have neutral colors in our bathrooms and they can use some color to brighten up the room. 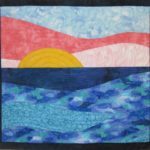 Art quilts, which are made of fabric, easily deal with the moisture in bathrooms without any impact on the quality of the quilt. 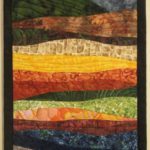 All the dimensions of my quilts are noted on the photos in the gallery. 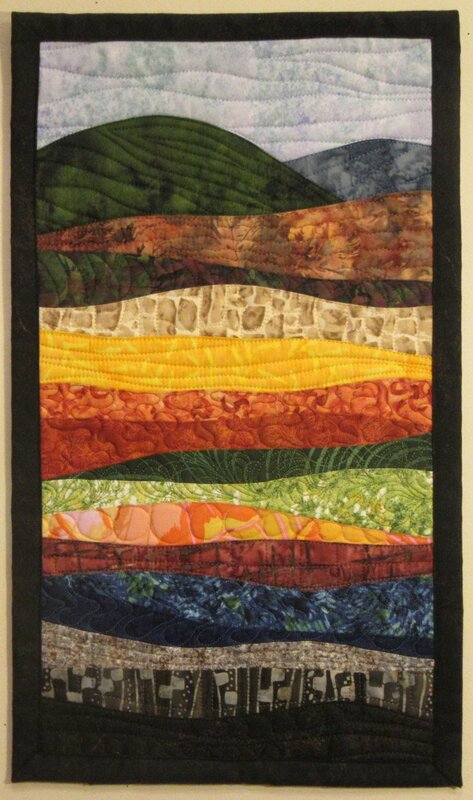 In my Etsy shop if you click on the quilt photo or the name of the quilt you will go to a page with more details about the quilt, including the dimensions. And never hesitate to email me with a question. Happy holidays and good luck with your last minute shopping!